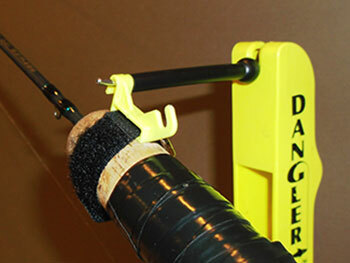 The ability to detect the most sensitive of bites and react quickly is key to ice-fishing success and the tip-down action of the Dangler Rod Holder helps you do just that. 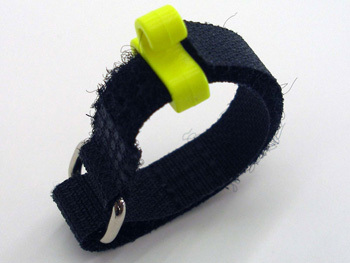 Price includes the Dangler Strap and Universal Strap. 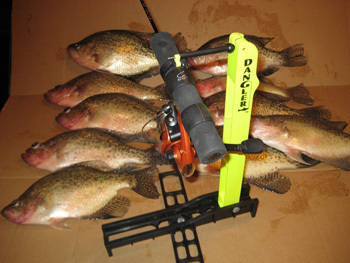 Get the Dangler Rod Holder and Dangler Trip-Up and save a couple bucks. Open Bail Design, adjustable tension release for different species of fish. 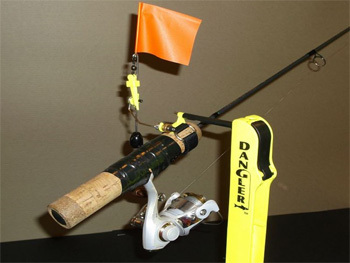 Ability to catch large game fish with light tackle. Made of Super Tough Nylon - Purchase additional straps for all your rods to allow for quick change of rods when using the Dangler Rod Holder. 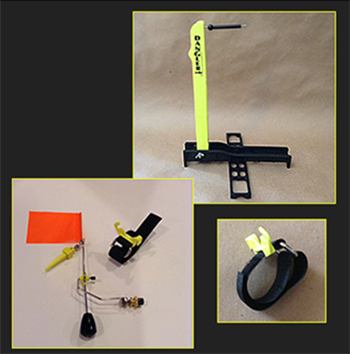 Universal Hook and Strap for use with Dangler Trip-Up or use with Quick-Grab Rod Holder. Use as an extra or as a replacement. 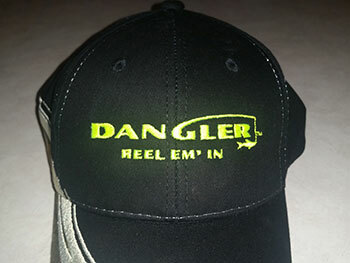 Get your Dangler Hat to wear with pride! Adult - One size fits all. Dangler Enterprises is unable to direct ship product to Canada at this time. For product purchase, go to Find Products and select a retailer that offers the Online purchase option. We currently do not accept Orders outside of the 48 states. For International product purchase, go to Find Products and select a retailer that offers the Online purchase option. Once you have submitted your order, an order summary page will be displayed with all of your order details. You may want to print this for your records. You will then receive an email confirming that your order has been successfully received online. If you experience any difficulty placing your order or otherwise require assistance, email us at Contact. We use PayPal for our credit card processing. Visa, MasterCard, Discover and PayPal are accepted. Dangler Enterprises goal is to ship all orders in a timely fashion, usually within 2-4 business days. Standard shipping will be sent United States Postal Service, UPS or FedEx Ground depending on order size and weight. While Dangler Enterprises is truly committed to product quality and customer service, all sales on this website are final. No refunds or exchanges will be permitted unless approved by Dangler Enterprises. If you have a specific question or concern in regards to your order, email us at Contact. We are required to collect sales tax (5.5%) on orders shipped to Wisconsin.